Houston stands out as one of the most popular cities in the state of Texas, and the country. This continuously growing city boasts more than 2 million residents and is the fourth-most populated city in the United States. Houston was named after former General Sam Houston, who was president of the Republic of Texas at the time. Because of the port and railroad industry, along with oil discovery in the early 1900s, the city has been able to expand and thrive. Houston is home to the Texas Medical Center, the world’s largest concentration of healthcare and research institutions. It’s also home to the Johnson Space Center and the Mission Control Center. With Houston having such a diverse mix of industries, this city is one of the most desirable places to live. Not only is it nicknamed “Space City,” it’s also globally tied to other countries through trade and businesses. On top of that, Houston has a diverse population of people from various backgrounds and ethnicities. Since Houston has such a large industrial background that continues to this day, it’s important for businesses to have the resources they need. 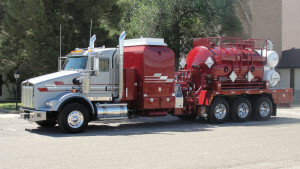 Energy Fabrication has fluid heating services, pump trucks, kill trucks, winch trucks, hot oil units, and so much more to offer. For your commercial and manufacturing needs, call us today.